Oh Plah™! 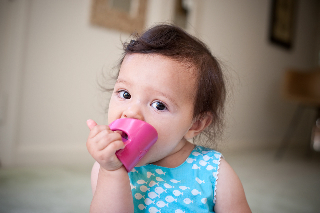 Bend it, twist, it, squish it, chew on it – this pliable cuff made to stylishly fit on mom’s wrist while on-the-go makes a wonderful teething toy for your little drooler. Made in the USA of safe, non-toxic medical grade thermoplastic, this unique teething bracelet and toy is free of BPA (Bisphenol-A) phthalates, PVC, harmful lead and latex. Available in a rainbow of colors, this durable toy can be cleaned with soap and water and stands up to the biting and gnawing that accompanies teething. In addition, when your child has outgrown their Oh Plah!™ teething bracelet, the Roundhouse Design Collaborative, the company behind this innovative product, offers a full recycling program. Simply click here to download your free return label to send it back to the company to be recycled. Isn’t that eco-fabulous?! To purchase an Oh Plah!™ teething bracelet, visit their website. Check out this classic favorite from Rosie Hippo that will spark your children’s creativity for hours and have them building, stacking, spelling and counting! The ABC Blocks with Wagon is a beautifully crafted set of wooden blocks nestled in a wagon that little ones will love to play with and create to their heart’s content. All 28 blocks are made from natural Bass wood, and feature beautifully embossed four letter sides, one number (0 – 9) and one animal. 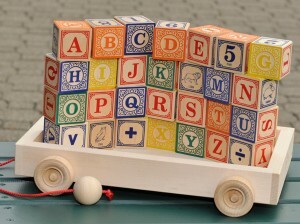 For ages 1+, the ABC Blocks make a wonderful gift for a birthday or holiday. Visit Rosie Hippo for more wooden and eco-friendly toys for tots – this mom-owned retailer is a fabulous place to find natural and organic items that parents can feel good about purchasing for their children. Let your child’s creativity and inner sculptor come to life with Clementine Art’s non-toxic modeling dough! Made with real, all-natural ingredients that sound good enough to eat (and as moms know, this is often the case as children play with art supplies!) this Natural Modeling Dough is made from wheat flour, salt, water, soybean oil, cream of tartar, natural glycerin, and natural scent extracts! Each package contains 3 jars of dough in lemon, lime, and strawberry – nothing artificial! Let your budding artists create to their hearts’ content! From Boulder, CO comes this fabulous line of natural non-toxic art supplies, created by an art teacher who was concerned about the chemicals and toxins found in common art supplies. Read Diana’s story here. She is a parent’s dream! To purchase Clementine Natural Modeling Dough, visit Clementine Art. 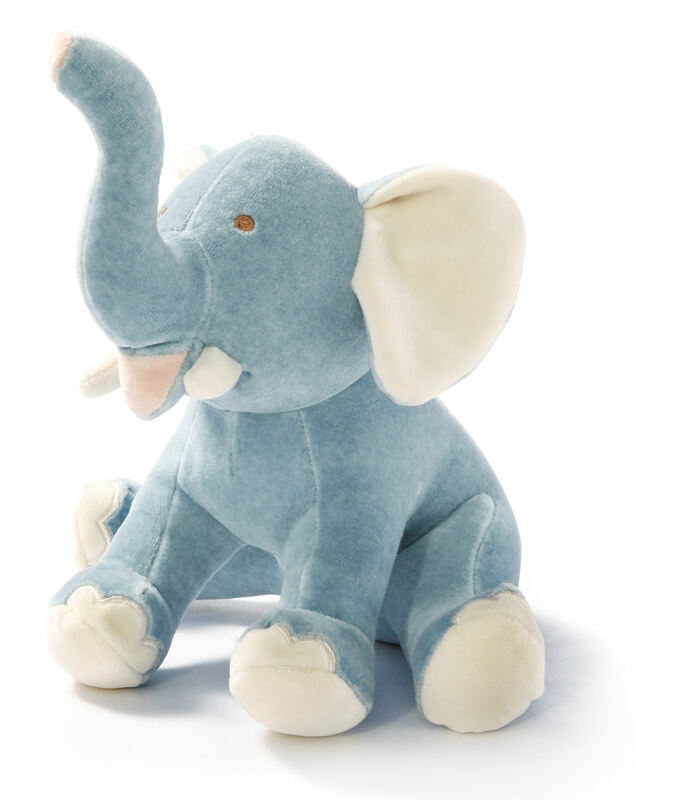 A chemical-free stuffed toy that is truly making a difference in honor of an amazing woman, the Jane Goodall “Good for All” Collection of My Natural Eco-Plush Toys has made its debut at Target! Made of unbleached, unprocessed, and untreated all-natural cotton, these adorable animals are super-soft, perfect for double the cuddles! Each stuffed animal has been colored with a PureWaterWash™ process, which uses minerals and plants that has been mixed in soy water for the dye bath. After coloring, the water is then purified with natural enzymes before it is released back into nature. 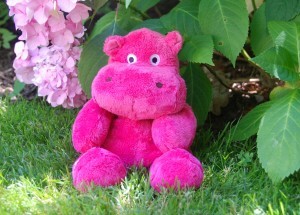 The menagerie includes Crocodile, Elephant, Gorilla or Hippo – each adorable in their own way. Every purchase gives back to the Jane Goodall Institute (www.janegoodall.org) and its phenomenal programs, which include efforts to protect chimpanzees and their habitats, develop sustainable communities and empower youth across the globe. For more information, visit Target. 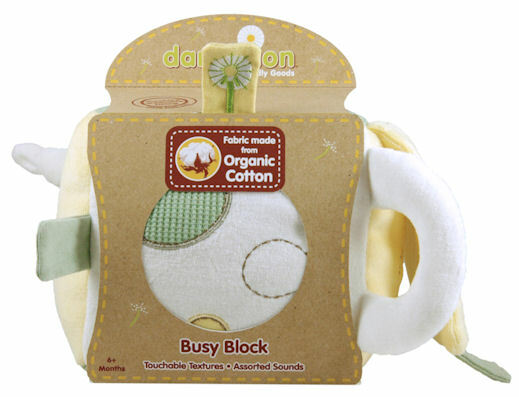 Keep little fingers busy with the Organic Busy Block by Dandelion Earth-Friendly Goods! This soft, plush block made with tabs for pulling, textures for exploring, and various sounds to delight baby, will definitely be a hit! 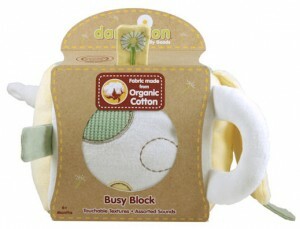 A new take on a classic developmental toy that has been made with organic cotton and filled with corn is safe for your little one to play with and hold. The Organic Busy Block helps to develop fine motor skills and sensory skills, and will enchant your little explorer as she learns about the world. Found online at www.dandelionforbaby.com.